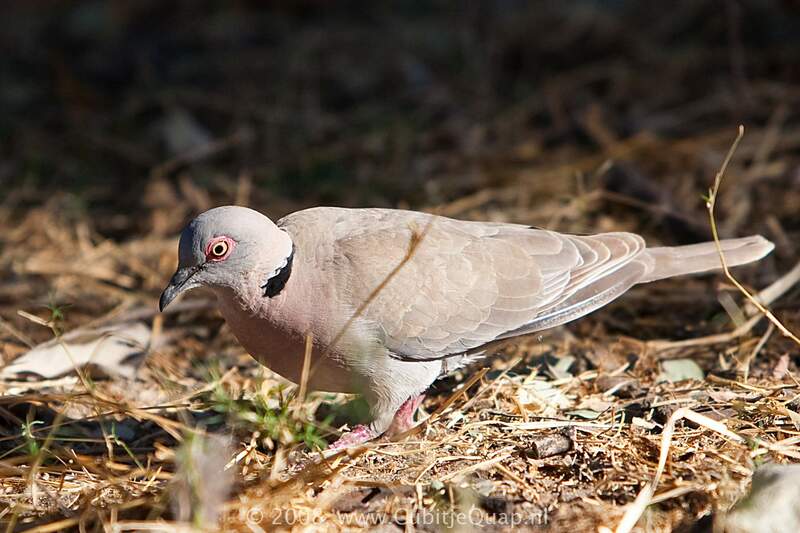 This species may be distinguished from the similar Cape Turtle-Dove by the red skin around the yellow eyes and the totally grey head. 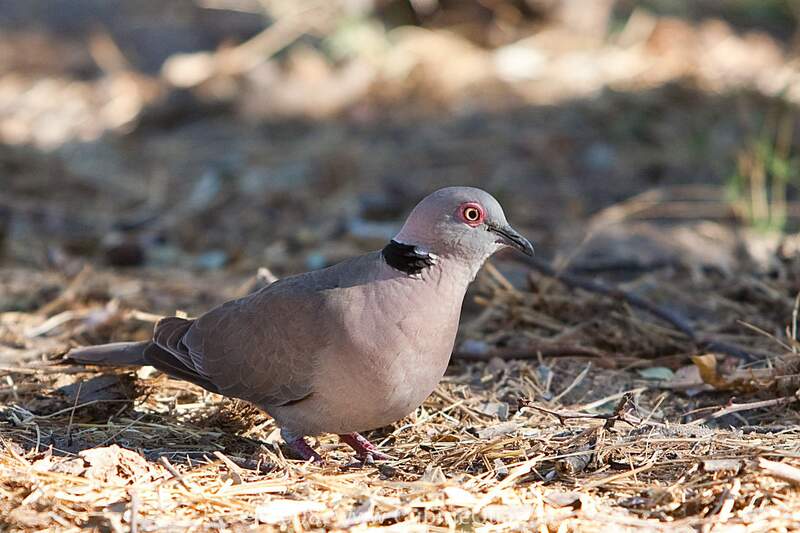 Confusion might arise with Red-eyed Dove, but that species is much larger, is overall very much darker and has a deep red (not pale) eye. Juvenile is browner than adult. Thornveld, riverine forests, cultivated areas and gardens in bushveld.